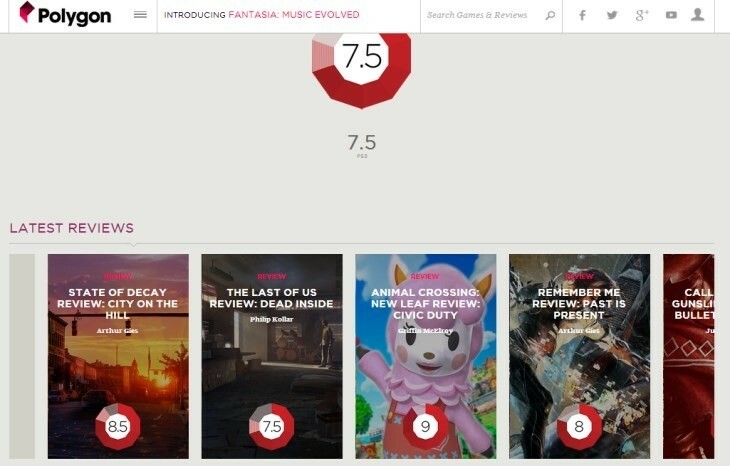 As you saw earlier from Geoff’s The Last Of Us roundup there is one stand out review in there and that would be Polygon’s review with the very average 7.5 which has caused a bit of a controversy. 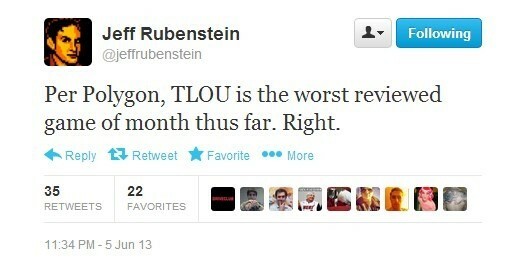 Now before we get into this, a review is a reviewer’s personal opinion and everyone sees an experience differently. But… ex PlayStation Social Media Manager, Jeff Rubenstein, wasn’t too taken with the review and how it stacked up with the score for other titles currently reviewed on Polygon. He was instantly replied to by two separate Polygon employees with Michael McWhertor going with the very straight forward “Dude” and Justin McElroy outdoing him by one character by saying “wow”. Now, remember Jeff is no longer with PlayStation and actually now works for a mobile gaming moneytisation company so he really does have the right to share his opinion. He goes on to state that he’s not judging the reviewer but the comparison is invited by the review carousel below the review score.. here you go. In my mind the insinuation is obvious. Are Polygon making a stand against Sony for their lack of advertising or are they not getting as many hits as are required to sustain their huge financial backing? We were chatting internally recently that Polygon appears to be moving more towards the Kotaku style of journalism and away from their initial goals. Which is disappointing because I’ve been a fan of how Polygon launched and it is sad to see them possibly becoming a site that trolls for hits. 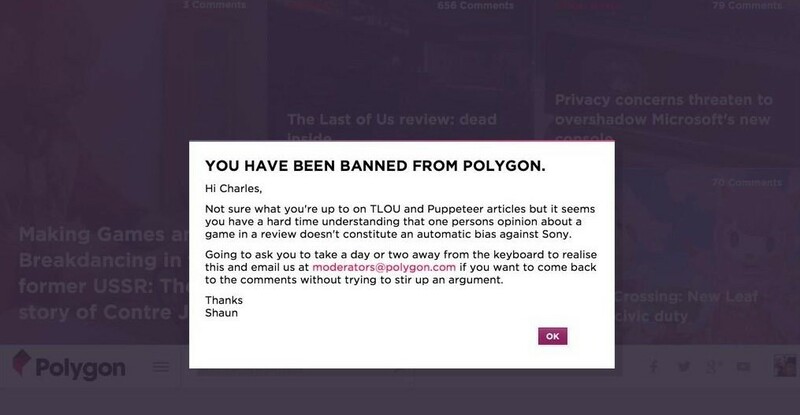 Oh and just to stoke the flame a little more; Polygon are now being accused of censoring the community who aren’t ecstatic about the score. So what do you think, are Polygon trolling for hits or have the rest of the gaming community just been overly kind to The Last of Us? The current metacritic score is 96 with Polygon’s score being the lowest by some margin.